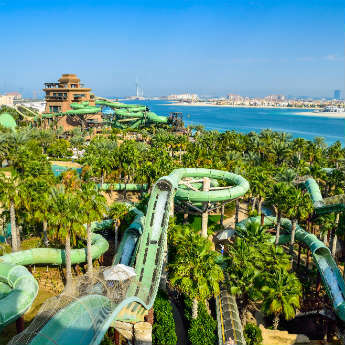 Dubai may be a playground full of giant buildings, magnificent man-made islands, and water parks and theme parks that kids and adults will love. Dubai is also a destination where kids can let their hair down, have fun and create memories that will last a lifetime. If you’re going as a family to Dubai, don’t panic about what there will be to entertain the kids, just read on to discover what things you can do with the kids in Dubai. The Dubai Miracle Garden is a huge space with over 100 million flowers that are bursting with colour. 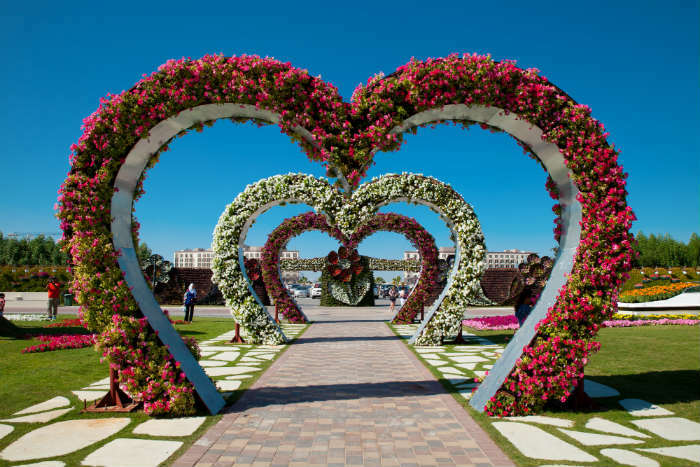 Based in Al Barsha South, it’s the world’s biggest natural flower garden and features flowering pyramids, stars and hearts throughout the garden. There are also house like structures covered in colourful and rare flowers from all over the world. Kids will love exploring and running around the park in between the flowers but if they’re more into wildlife, there is also the Dubai Butterfly Garden here too! If you are planning a trip to the Dubai Miracle Garden, it’s easy enough to get here – just catch the bus that leaves every 20 minutes from Mall of Emirates! 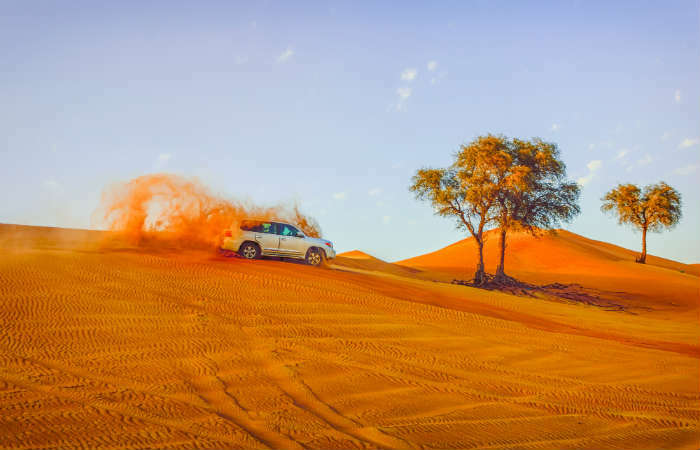 For a true, one-of-a-kind experience that kids and adults will love, head out on a desert safari to experience a Dubai that not many people will see. A 4X4 vehicle will pick you up from your hotel and take you on a 6 hour journey through the desert of Dubai. 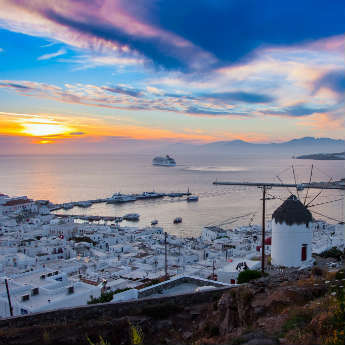 Let the kids enjoy sand-boarding and camel rides on the sand dunes, then watch the sun go down over the golden landscape before enjoying dinner and traditional dancing. There’s no doubt kids will want to try out the dancing themselves or get a henna tattoo as a non-permanent souvenir from their desert adventure! Water fountains are always going to be a sure fire hit with kids and the Dubai Mall Water Fountain is one of the best. 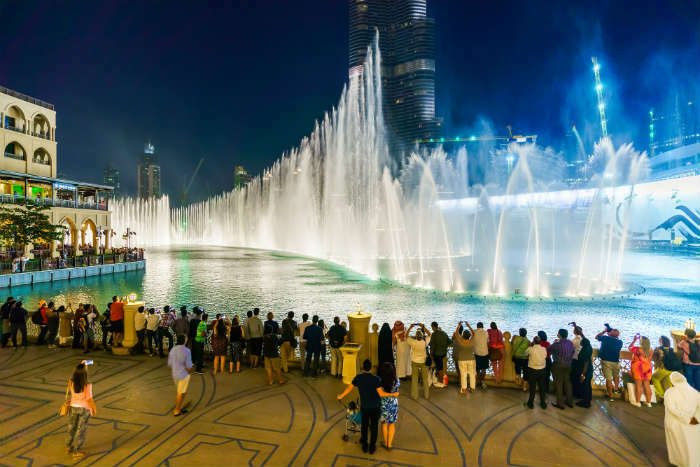 Created by the people behind the Fountains of Bellagio in Las Vegas, the water fountains are set to music on the 24 acre Burj Khalifa Lake. The water shoots an incredible 140 metres into the air and there are daily shows throughout the week, with the exception of Fridays. Evening shows also run every 30 minutes giving you and the kids plenty of opportunity to see this spectacular show on your holiday in Dubai. If your kids are more of the adventurous kind, head out to Kite Beach where everyone can try out a variety of water sports. Kayaking, kitesurfing and stand up paddle boarding are some of the most popular water sports to try out and there are plenty of places along the beach to rent all the equipment you’ll need for a day on the water. 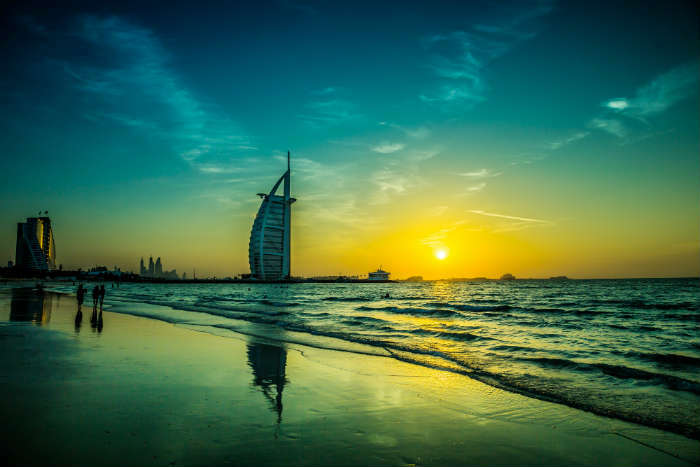 If you prefer to be on dry land, why not go down later in the evening with a bit of food and watch as the sun sets over the Burj Al Arab? 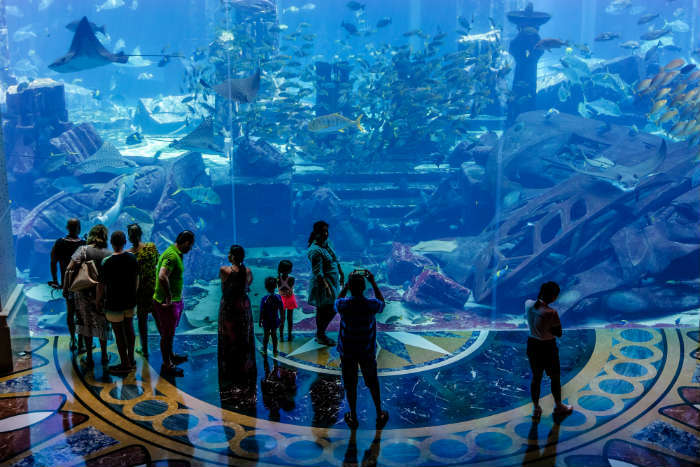 Another attraction based in the Dubai Mall is the Dubai Aquarium and Underwater Zoo. Home to a 10million litre water tanks that houses over 300 sharks, this aquarium is one of the world’s biggest and kids and adults alike will be captivated by the marine wildlife swimming around in the giant tank. If your kids are particularly interested in underwater wildlife, why not book a Ray Encounter where they can get up close to these beautiful creatures. Alternatively, go on a glass bottomed boat ride or stroll through the 48 metre aquarium tunnel to see the 140 species of marine life without getting wet! Have you been to Dubai before? If you've visited with family, we'd love to know if you have any more recommendations of things to do with kids in Dubai! Just let us know your thoughts in the comments below! If you'd like to look for your own Dubai holiday, or for more information on Dubai, just click on this button!